This was work that was happening on 224 on the way home. If you look closely you can see men up on the hillside - I'm not sure what they were doing - drilling holes for dynamite to blast more rocks? 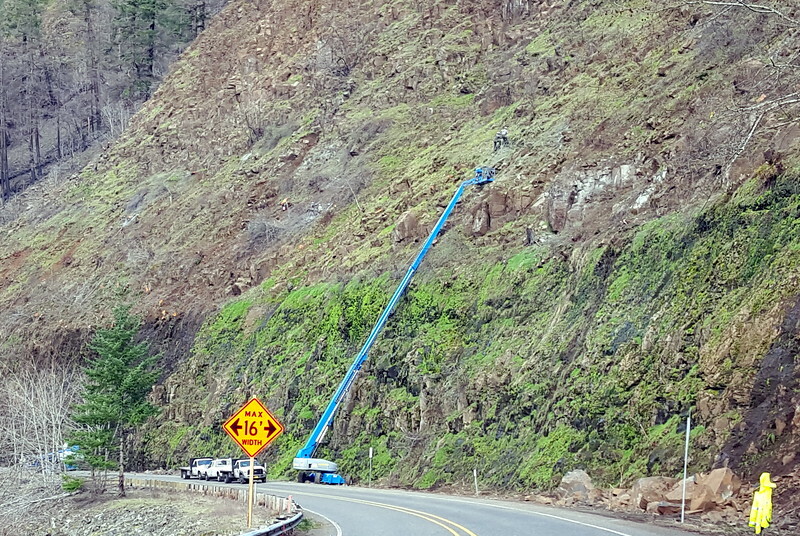 It is part of the rockfall improvement project that has been going on.